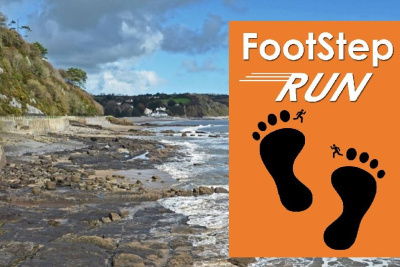 FBM estate agents are delighted to be the main sponsors for the FootStep Run in Saundersfoot on Friday the 20th of July. This charity event is organised by the community for the community. Added as part of the successful TenFoot swim the run is open to all ages and abilities with a children’s run kicking off the event at 6:30pm on a half mile route. Then at 7 pm, for those aged 14 years and overs, the choice is yours; a leisurely one mile, a more challenging three miles or for the really adventurous fun runner a five-mile run. The course will take in The Strand, Coppet Hall, the tunnels along to Wiseman’s Bridge and the path to and through The Heritage Park at Pleasant Valley. We are delighted to confirm that the whole five miles will be traffic-free. The village will be in a party spirit with live music from local band ‘Westbound’ and a host of other attractions. Proceeds from the event will be going to support The Dai Rees Foundation, Wales Air Ambulance and Paul Sartori Foundation. FBM are delighted to be sponsoring this fantastic event which we are sure will be a great success!